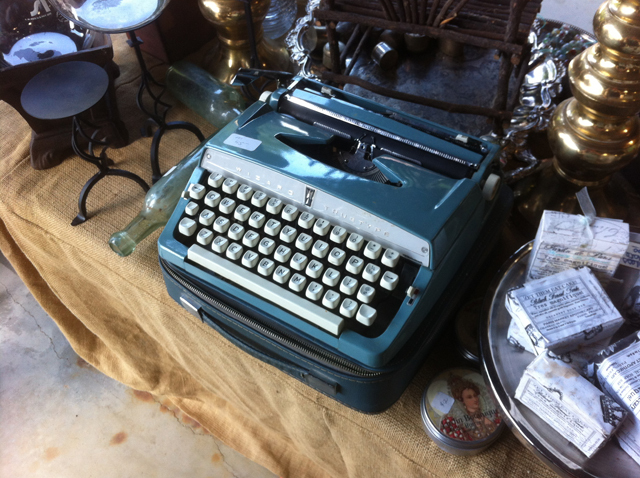 Yesterday I went to Brimfield for my 4th time. It was such a great day- the weather was fantastic and the best part was getting a great deal on the things we purchased. Finding deals and cool things is just too much fun! 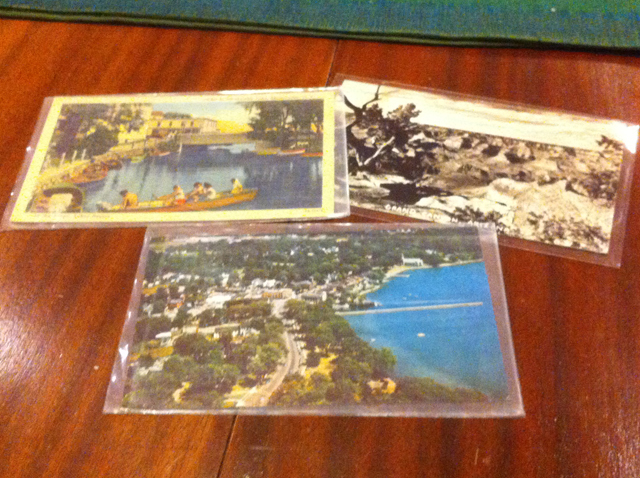 Got these from some guy named Bob. He was a real sweet heart and was so nice about setting the chairs aside. I think we crushed him a bit when he asked what we were doing with the chairs and I said painting them and putting new upholstery on them. I saw this early on and told myself not to get it. I have always wanted one but really??? Well I went back before heading to the van and it was still there calling out to me so i caved and I am so glad that I did get it. I can’t wait to use this for scrapbooking! too much fun! 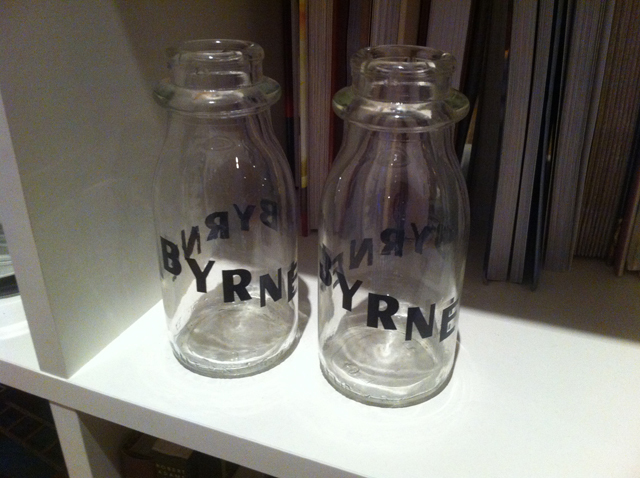 Byrne Dairy originated from central New York so these are so cool since Pricer is from there. I don’t really believe that things that happen for a reason but this is one of those things that does make me believe that things happen for a reason. 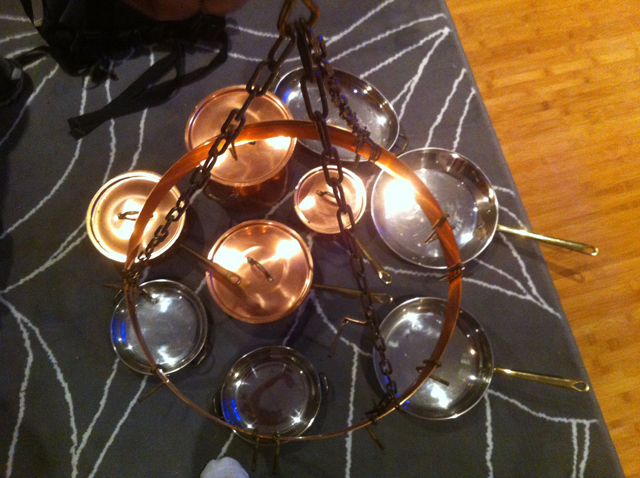 Long story short…while the seller was wrapping up the milk bottles I just remarked how beautiful the pots were hanging in the back of the tent. He simply replied ‘oh yeah they’re $100.’ I nearly fainted. I had to gather my jaw off the dusty field and pull out my checkbook fast! Such a steal since these can go from $25-$40. 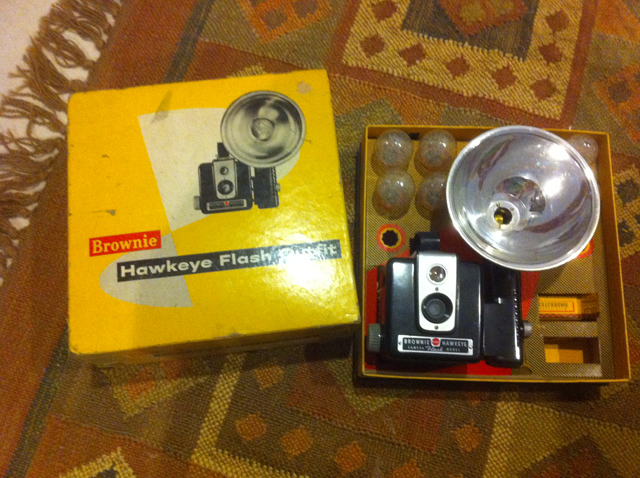 Saw a few others selling just the camera for $25 but this vendor had the whole set up – box, 6 flashes, and a roll of film- and for $25. Talked him down a bit. win!! These were a steal since we saw them from another vendor for $15 each. A good lesson in looking around before buying something at first glance. The guy told us that he got these from Houston as coffee is imported there. We are going to use the 1 on the left to hide an electrical panel in our finished basement & the ones on the right for our revamped chairs. 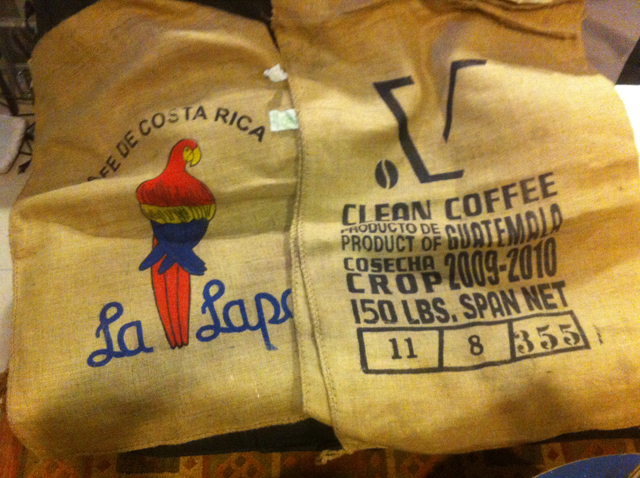 Also, got these from the coffee sack guy. 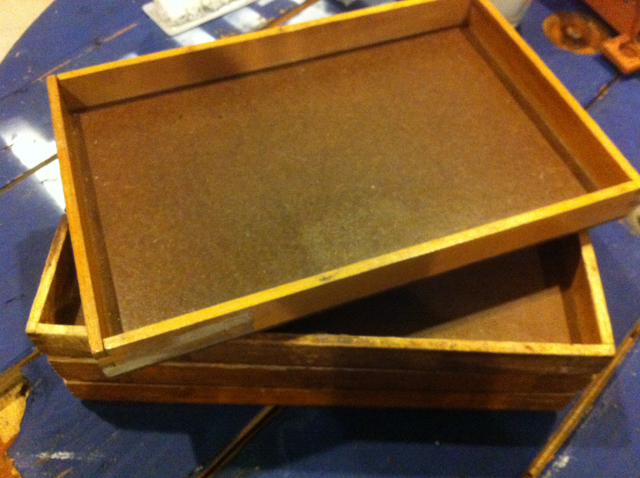 I am going to use these for organizing craft/scrapbooking projects. Also from the same coffee bag guy. 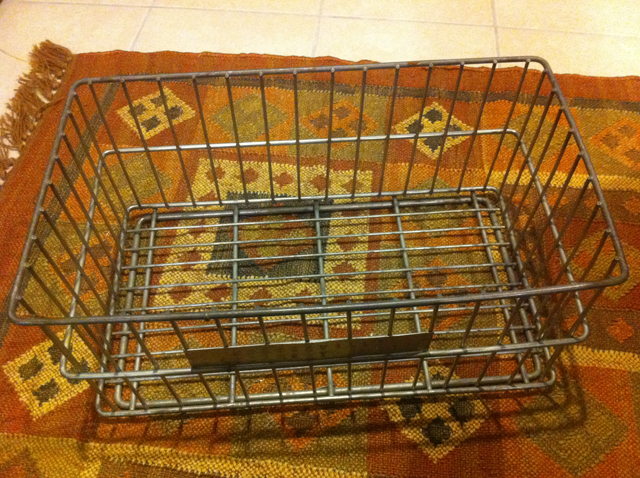 This is going in the basement bathroom to hold towels for when people visit. I loved this photo of these rabbits. It actually is a goof as it is a negative print. 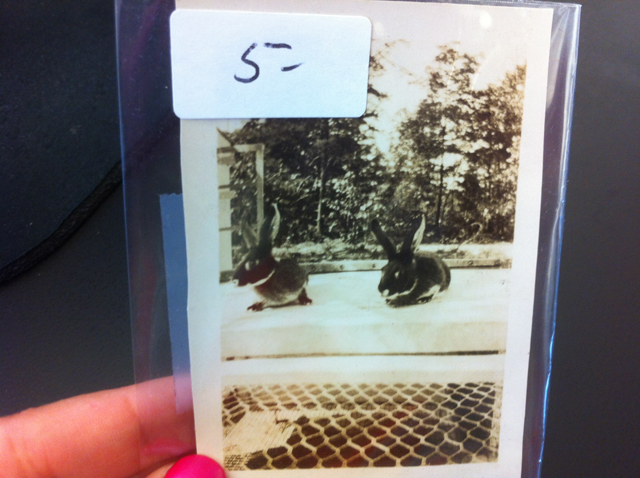 The rabbits are white but they came out black and everything else (cage, trees) came out white. So cool! I picked up a frame from Ikea for this. 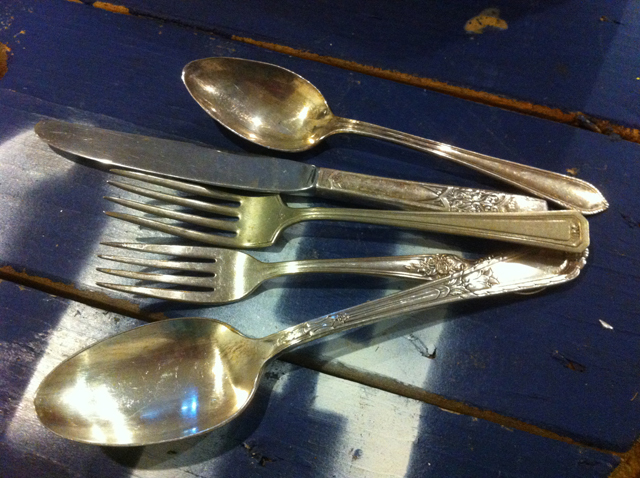 Going to use these for props for food photos. Another reason to browse all around when you see something cool. Saw these for $8 in one area and got these elsewhere for $2 each. sweet! 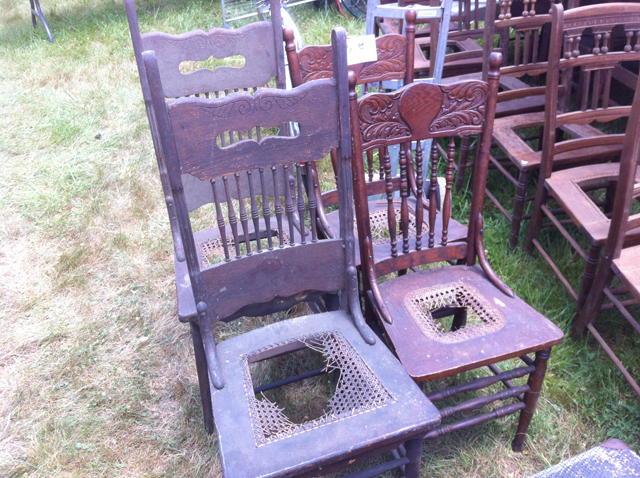 Brimfield is going on until Sunday the 15th so you should swing by since it is just over an hour west of Boston. It is also held Sept 4th-9th this year. They also announced their 2013 dates so get to planning your visit! 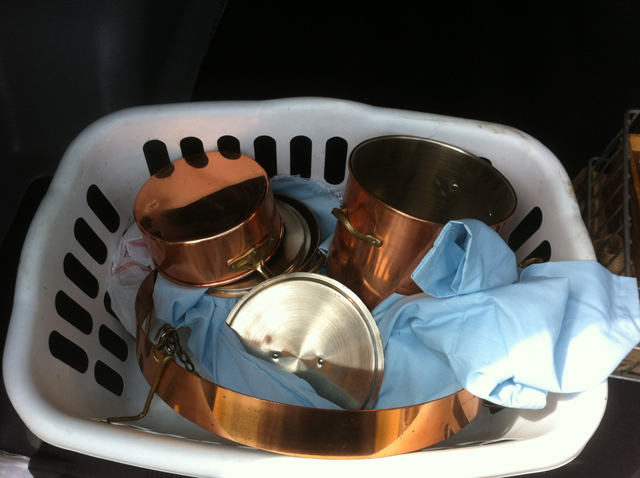 The copper pots alone make me happy! Next year we’re so going together. I wish I had an eye for things like this. I can’t believe the deal you got on those pots!